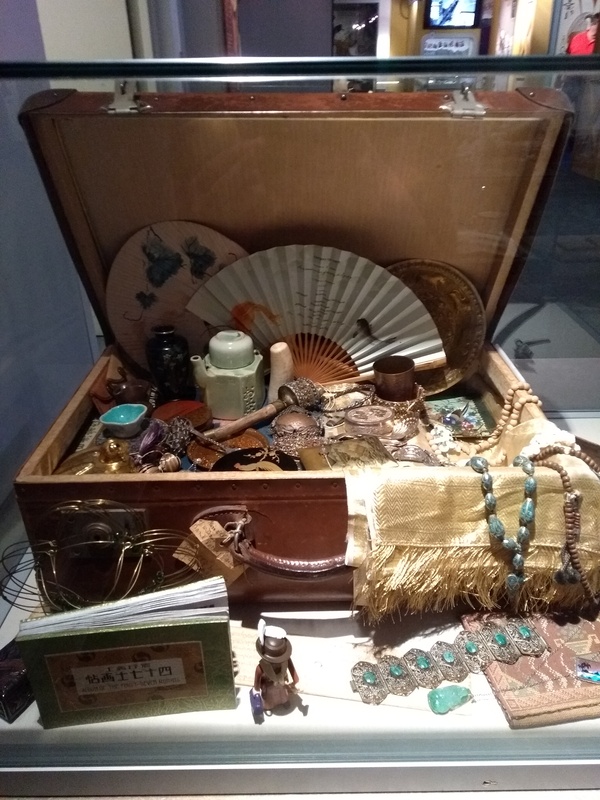 Inside this suitcase, on display in our Explorers gallery, are 80 souvenirs or ‘tourist trophies’ brought back by Miss Edith Katherine Lee Harrop in the 1930s. She and her sister Beatrice travelled through Europe, visited North Africa, Egypt and the Middle East. Continuing through Asia, they visited India, Tibet, China and Japan. Crossing the equator to the Southern Hemisphere, stopping off in Australia and New Zealand, they then went on through South, Central and North America before returning home.